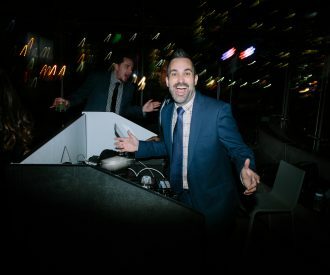 Cratin found a passion and talent for providing memorable entertainment at weddings. In 1999, Cratin Sheffield moved to Waco, Texas to begin his college career at Baylor University. It was there he met his future roommate and best friend, and now owner of LeForce, Glenn Roush. In a very short time, they started their first DJ company and started playing at all the fraternity and sorority parties in town. 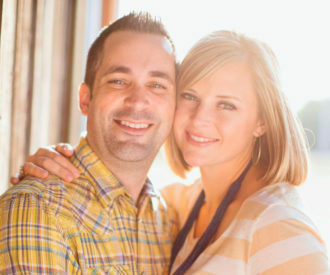 As time went by, their friends went from hiring them for parties to hiring them for weddings. 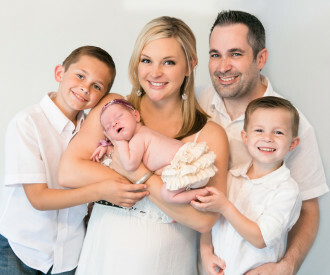 Cratin is a family man, and has been married to his wife Alison for 10 years, and they live in North Richland Hills and have two dapper young boys, Zane and Asher, and in 2015, daughter Ivy Kate made the Sheffields a family of five. Cratin describes his style as “professional, but fun”. 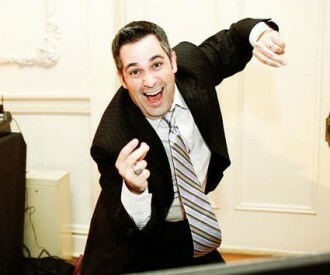 Simply put, he wants your wedding reception to be flawless, and your guests to have an absolutely wonderful time. He doesn’t sing over songs, act showy, or wear silly outfits. He is charming, with a wonderful smile, and giving attitude. My attention to detail. I try to memorize every nightly schedule, so that everything happens flawlessly. Second, my outgoing personality places me pretty naturally behind a microphone. I love being in front of people. The moment that comes at the end of the evening. It’s when all the guests have left the reception, and are standing outside awaiting the departure of the bride and groom. It’s when I am able to walk up to my clients and genuinely thank them for allowing me to be a part of their special night, and hear their responses. I am a Baylor Bears fan for life, but if I am watching professional sports, I am usually rooting for the Mavs, Cowboys, or Rangers.